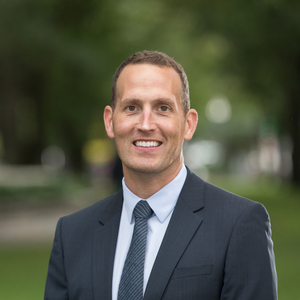 Offering over 15 years of experience in the sophisticated Boston area real estate market, Joe Cunningham is a trusted, loyal advisor for both new and longtime clients. He provides informed guidance and dedicated service to sellers, buyers and landlords alike, creating a foundation for successful transactions and long term investments. A top performing agent since 2002 at his previous firm of Sotheby’s International Realty, Joe joined Compass in 2016 with an extensive understanding of all market conditions. Those looking to sell or purchase a property can expect smart strategies, an energetic collaboration and attention to detail that assembles all the pieces of the real estate puzzle. With a friendly and professional manner, Joe is a highly regarded member of the Boston area real estate network and maintains close relationships with top local attorneys, lenders and industry professionals. He is a member of the Greater Boston Real Estate Board and the Massachusetts Association of Realtors. Joe studied at Mass College of Art and Parsons School of Design, earning a Bachelor of Fine Arts and had a successful freelance design career prior to becoming a realtor. On his offtime, Joe enjoys leading a healthy lifestyle, and partaking in many outdoor activities throughout New England. This perfect triplex offers all of the features any South End enthusiast could hope for! Occupying the top three floors of a classic Federal row house, this condo lives like a single family where every room has a spacious layout, multiple windows, and high ceilings. An easy first floor entry leads to the wide open living level that includes the kitchen, dining and living area with gas fireplace, half bathroom, and a gorgeous private rear deck. With quartz counters, breakfast bar and ample storage, the kitchen also features Wolf and SubZero appliances. The second level has two large bedrooms and a two-sink bathroom with water closet and tub. Stunning master suite occupies the entire top floor with dressing area, vaulted ceilings, built-in storage, and skylight. Master bath has steam shower, double-sink vanity and water closet with bidet. Private roof deck with amazing city views! Built-in speakers, alarm and custom closets throughout. One full parking spot included in the paved alley.